Regent has global record for its unique spirit that provides a once in a lifetime experience for travellers. That is the essence of luxury in the hotel industry - turning the client’s dreams into inspirations. At Regent Residences in Phu Quoc, this spirit has been conveyed through the talented hands of BLINK Design Group - the designers of Asia’s largest resorts. Since meeting with legendary architect Bill Bensley in 2005, Clint Nagata, BLINK’s founder, has been consumed by a burning desire to create the ultimate in hospitality. Through this passion, the journey to build BLINK has been apid and the name BLINK, one of Asia’s most prominent hotel and resort design brands, has quickly risen around the world and won many great awards. One of the special features that makes BLINK and Nagata one of the most trusted names in the world of architecture is a design philosophy always tries to blend buildings with local nature. In an interview, Nagata shared: "I have been taught that the mark of a land is very important to the success of a project. Our role is to bring out the best of these markers, and at the same time evoke the attributes of the brand and the owner of the project. That is why we always try to work with the spirit of creativity as well as putting them subtly into our designs. " The philosophy of BLINK is fortunate to coincide with the success of the Regent brand around the world. BLINK was entrusted by Regent to create its latest achievements; Regent Jakarta (Indonesia) and Regent Residences Phu Quoc (Việt Nam) - luxury resorts that won the prestigious ASIA Pacific Property Awards. Regent’s philosophy and the Nagata’s working motto have striking similarities. As a Japanese-American architect, Nagata always wants everything he does to be closely linked to his indigenous nature and toward minimalism, and so does Regent. For almost 50 years, this Asian hotel brand has considered a minimalist monument with a philosophy of reconciliation between the opposite sides: world-class but boldly indigenous; unique but very familiar. Regent Residences Phu Quoc is living proof. Here, traditional Vietnamese architecture is transformed subtly in the overall space and is skillfully arranged in a bold contemporary way. The traditional wooden trussing of Việt Nam inspires and is shown through unique furniture details and a layout of warm neutral colors. BLINK tried to understand and distill indigenous culture to apply at Regent Residences Phu Quoc. Local materials such as black basalt have been exquisitely used by architects, and look just as luxurious as imported marble from Italy. The rustic roof tiles are also embraced as they are well adapted to the climate of tropical Phú Quốc. 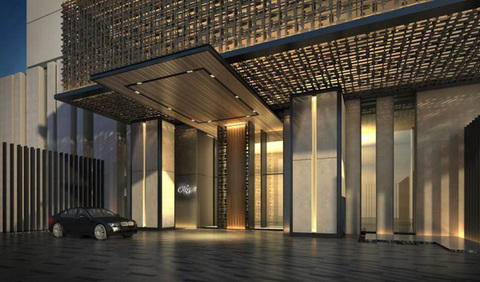 With Regent Residences Phu Quoc, BLINK has brought a masterpiece of indigenous design. 76 villas and 42 Sky Villas offer luxury private space, sea views and flexible modern facilities, and all of the Sky Villas offer direct views of the sea from infinity pools. They also features a lock-off system, allowing owners to separate the two bedrooms to create a space to rent. Phu Quoc Regent Residences on the Emerald Island is invested by BIM Group - a reputable real estate developer with a solid financial foundation. BIM Group is the pioneer investor in cooperation with leading partners in the world. 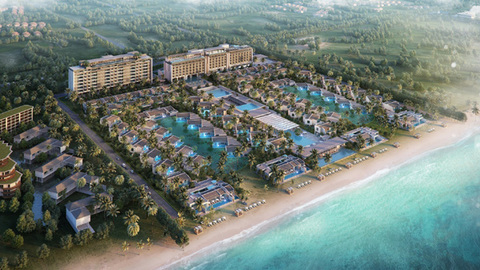 Regent Residences Phu Quoc is the third project marking the partnership between BIM Group and InterContinental Hotels Group (IHG), which has officially announced the completion of its 51 per cent stake acquisition of Regent Hotels & Resorts. It’s safe to say real estate invested by BIM Group will not stop going up in price, and owners will earn a healthy profit from the rent and experience personalised services.